Like its predecessor Daredevil, Jessica Jones is an excellent, dark, grounded and captivating TV show. 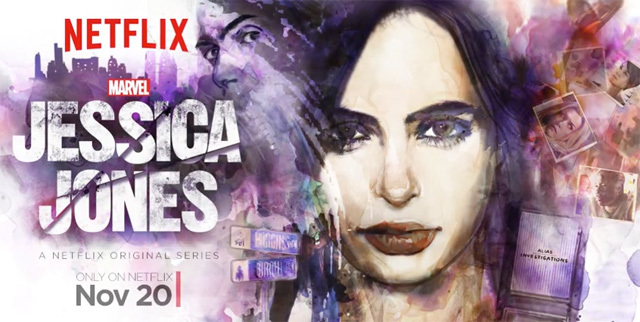 Jessica Jones is Marvel Television and Netflix’s second TV show set in the Marvel Cinematic Universe (MCU) and follows the story of the title character (well played by Krysten Ritter) as she goes about her life as a super-powered private investigator. Take note this isn’t a superhero TV show but a psychological crime drama. Don’t let that keep you from watching it because it’s not your typical crime show. There aren’t any boring procedurals in Jessica Jones, just great character studies and mature themes. 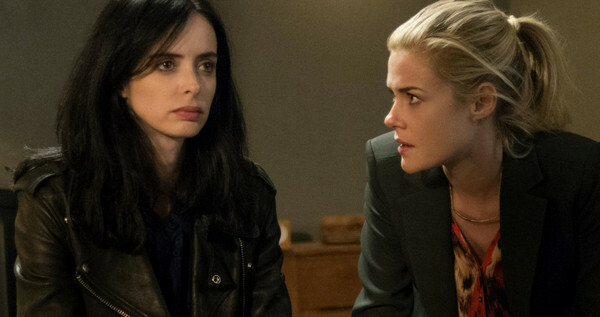 As the focus of the show, Jessica Jones keeps you glued to her issues. After she received low-level super strength, she kind of wondered what to do with her life and was talked into trying to become a superhero by her best friend Tricia Walker (Rachael Taylor), who comic book fans will recognize as the lady who will become Hell-Cat. Flashbacks show that Jessica had her free will taken over by Kilgrave (David Tennant), known in the comic books as the Purple Man. His superpower is to control people and what he does in this show is just terrifying and ghastly. What he makes people do as he lives a hedonistic lifestyle was disturbing and demonstrates that Kilgrave is a more effective villain than most MCU villains who rant about destroying the world. Seriously, Kevin Feige and his gang at Marvel Studios should look at these Netflix shows to see how to do a real supervillain! Jessica was able to break away from Kilgrave, leaving him for dead, but is very haunted by her experiences where he made her do things against her nature including murder. In the present, she’s got a tough but fragile shell and lives a barebones life in the seedier part of Manhattan. Her investigations lead her to discover that Kilgrave is still alive and stalking her. Early in the series, Jessica makes the decision to confront him with her reluctantly accepting the help of an oddball crew. They include Tricia, bar owner Luke Cage (Mike Colter), and former victims of Kilgrave such as recovering addict Malcolm (Eka Darville) and Simpson (Wil Traval), a policeman sent by Kilgrave to kill Tricia. 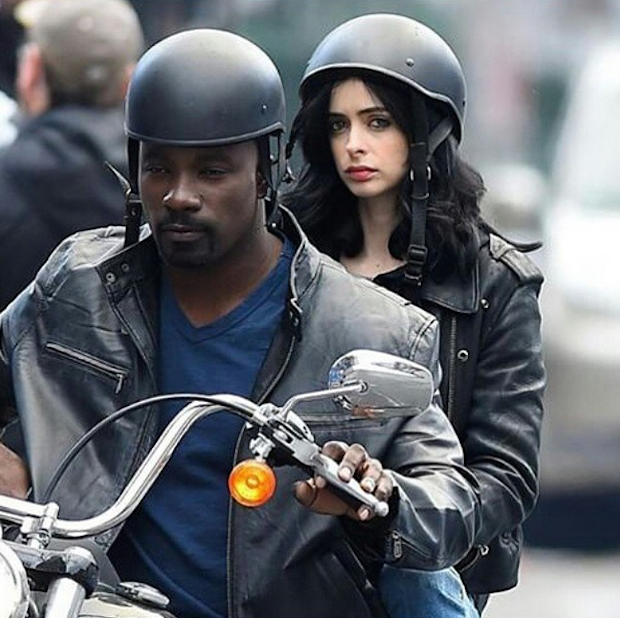 While I think Daredevil was a better show one thing Jessica Jones is superior with is with the supporting cast. Most of the characters are very likeable and all are well performed. People that viewers would disregard at first sight like Malcolm as just a junkie or Simpson as a thuggish cop have many layers to them and once we get to know them they become sympathetic. This layering also makes us hate Kilgrave even more, never mind what he did to Jessica. 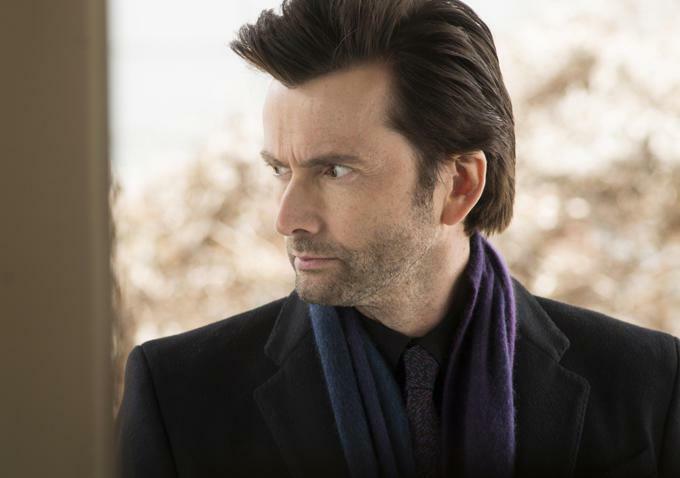 The show does an excellent job of illustrating a paranoid mood as Jessica has to look over her shoulder at everyone since any person she passes by in New York could be under Kilgrave’s evil influence. Who would’ve thought that a forgettable Daredevil villain in the comics would be so formidable? It just proves that the showrunners hit the mark by getting Tennant to play him. His acting is so good you forget that he was once the loveable Doctor in Doctor Who. Aside from its paranoia, the show is very gritty at times with borderline R-rated fare that drips with lots of violence, cursing and sexual innuendo. At times it takes on a pseudo-noir motif as Jessica narrates her observations while she does her work. At times the show feels cliché, especially with all the scenes (it was borderline silly) of her swigging down alcohol, and many panning shots of the gritty city that try to emulate Taxi Driver, but it usually works. This world felt real and grounded and largely removed from the MCU, though the presence of superheroes is there. Many of the MCU Easter eggs run the gamut of being so subtle you miss them to being upfront and moving along the fact that this little corner of the MCU has its own inter-connected world. By the way, the show makes great use of Luke Cage, who is well fleshed out as a character in his own right and perfectly set up to headline his own TV show. Can’t wait to see it. 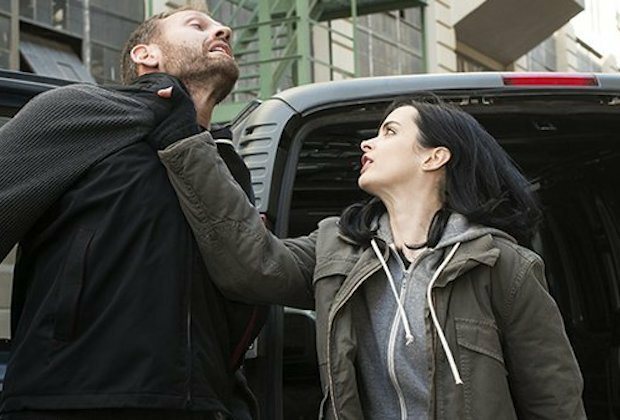 Once again Marvel hits it out of the park with Jessica Jones and prove that when they put their collective minds to it, they can produce memorable TV fare.